13-12-2018 12:00:00 16-12-2018 12:00:00 America/New_York Ondadurto Teatro | Terramia The Rome-based ONDADURTO TEATRO will make its U.S. debut with "Terramia," a multi-media performance art spectacle that takes an irreverent look at humanity through the eyes of an android. The surreal work uses text, movement, video, music and innovative scenography inspired by Physical Theatre, the Nouveau Cirque and Gesture Theatre. Performances Thursday at 9 PM; Friday & Saturday at 7 PM; Sunday at 3 PM. 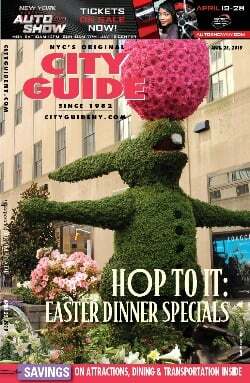 http://www.cityguideny.com/eventinfo.cfm?id=339600 LaMaMa E.T.C. LaMaMa E.T.C.